Hello fellow drone lovers! Here we are, once again, to bring you the best and most fun toy quadcopters in the market. Today we are reviewing a product by the renowned toy drone manufacturer: Cheerson. 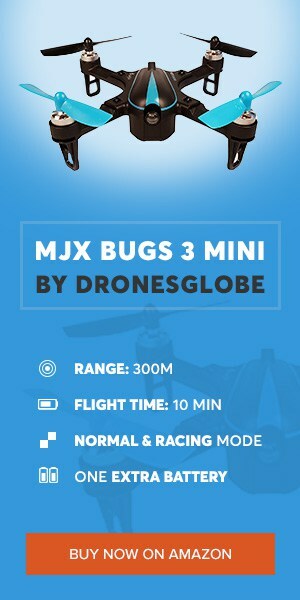 This company has already released a nice set of successful toy drones in the market. Today we review their Nano FPV quadcopter, the Cheerson CX-10W model. A fun little toy drone for the entire family to enjoy. Considering its very low price, let’s review Cheerson CX-10W and find out if it’s a god value for your money or not. Cheerson CX-10W is a nano toy quadcopter, smaller than the palm of your hand, CX-10W is a fun little drone to enjoy on the outdoor and indoor, although more suited in the indoor. CX-10W comes in three different set of colors: Grey, Gold and Pink. As expected of a low-cost toy drone, Cheerson CX-10W is made of ABS plastic, a durable and lightweight material. It will resist most crashes but keep in mind that you still must fly carefully and safely. The drone comes in an 85 x 85 x 40 mm box and the drone itself weighs only 17g. You can fly Cheerson CX-10W right out of the box, no assembling needed. Cheerson CX-10W aims to be a cheap and small toy drone able to provide an inexpensive FPV (First Person View) experience. In all its worth, CX-10W delivers what it promises and provides a fun FPV flight. However, as expected, the built-in camera is only 0.3MP and captures photos and videos with a resolution of 720 x 576 pixels. All photos and videos are saved not on a MicroSD card but inside drone’s Flash Memory (you have the option to insert an up to 32GB MicroSD card, thus increasing your storage memory). Live Video transmission is done via Wifi directly to the pilot’s mobile device. This means you must install a free to download an app that connects wireless to the drone, enabling it to display Live Video on your smartphone’s screen. Live Image quality is only decent, do not expect HD quality. However, it still provides decent quality footage, decent enough to record a small clip of you and your family or friends. The toy drone Cheerson CX-10W packs a nice set of fun features. Besides the already mentioned Live Video capability, that allows the drone to transmit real-time video directly to the pilot’s smartphone; and being capable of g sensor control. CX-10W also comes with Headless Mode (easier orientation despite where the nose of the quad is pointing at), this features makes the drone easier to control (useful for youngsters). CX-10W also features One Key Return, with the push of a button and pointing joystick in opposite to launch direction, will make the drone return to pilot. On top of all this, the drone is also capable of performing aerial flips with just the push of a button. Cheerson CX-10W comes with a very small and simple remote controller. This remote works in 2.4Ghz frequency and it’s easy to use. An intuitive remote controller with all you need to control the drone, perform 360º flips on air with just the push of a button, and of course bind the drone to the controller. A great thing about CX-10W is the ability to be controlled via touch-screen, this means the pilot can control the drone via its smartphone, without the 2.4Ghz remote controller. But wait, there’s more! You can also use the g sensors on your smartphone to fly the drone! Cheerson CX-10W maximum range is 15 to 30 meters, the average control distance for toy drones of this size and within this price range. CX-10W drone is powered by a small 3.7 V 150mAh built-in battery. This battery powers up to 4 minute of flight time, which is considerably low even for a quadcopter. The average flight time for a drone of this size and price range is 6 minutes. However, keep in mind that this drone features FPV, therefore it consumes more battery power. The battery is charged via USB, you can charge it on your computer. It only takes around 45 minutes to fully charge. Is Cheerson CX-10W Worth Buying? What are the Pros and Cons? Cheerson CX-10W is one of the cheapest nano drones featuring FPV. If you want to have a FPV experience with an inexpensive toy, or even if you are looking for an affordable gift to offer. Well, Cheerson CX-10W is a great fit for you. A fun little quadcopter, easy to use, durable and with all you need to fly right out of the box. CX-10W is a great drone, simple and lightweight. THE GOOD A good value for the money. Nice and affordable FPV experience. Easy to control, a good indoor drone. Decent control range. Great for beginners. Transmits Live Video. THE BAD Camera is only 0.3MP. Flight Time is slightly below average. BOTTOM LINE Overall, CX-10W is just a simple toy drone, good to fly for a first time without spending much money. The features are very fun and entertaining. Fly it mostly indoor, it doesn’t fight the wind well. A good product, for a good value. What do you think of Cheerson CX-10W? Are you looking for a cheap drone with FPV? Perhaps you are just trying to find a cheap toy drone to gift someone. Let us know in the comment section below. Don’t forget to bookmark our page, like us on Facebook and always come back for more great reviews and guides here on DronesWorld!